Made up of many interrelated features the English landscape has been marked by man’s endeavours over thousands of years. 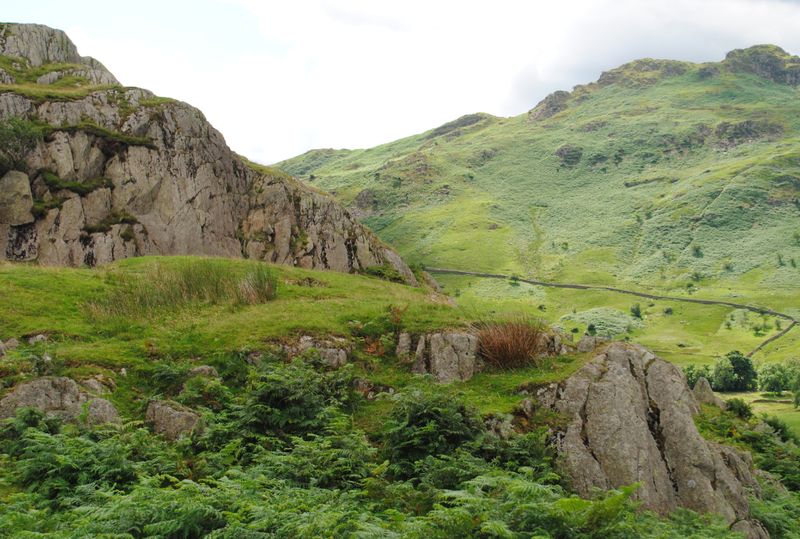 Formed from the rocks, moulded by time, etched by rivers and ice and clothed with a mantle of green vegetation, the basic skeleton of the landscape has been superimposed on by man’s work. All settlements are a vital part of the living environment and consist of a myriad of villages with hamlets and farmsteads found in every part of the country. The concept of geographical determinism has been at the heart of all studies of settlement since the late 19th century as the theory was first developed however, most of the specific determinants of settlement location are likely not concerned with the physical nature of a site at all. The complexity of rural settlement is such that the typical medieval nucleated village, clustered round a focal point, was regarded as the normal form. The reality is very different as such villages are only one facet of a very complex settlement pattern that also includes hamlets, farmsteads and cottages. 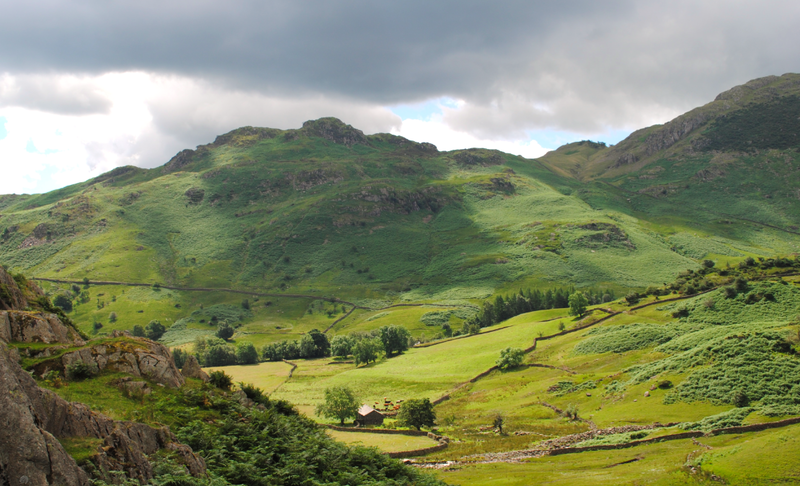 The history of archaeology shows that the concentration in certain areas by the first archaeologists looking for prehistoric remains led to the belief that open light-soiled upland areas were the preferred places for settlement. As a result, the widespread ideology that all other areas were impenetrable forests or too marshy to be settled spearheaded a myth about prehistoric people which has never been eradicated. This concept suffered a severe blow from the 1920’s with the development of aerial photography. This technology began to reveal the existence of thousands of archaeological sites that were quite invisible on the ground as they had been flattened by centuries of cultivation. As a result of differential crop growth, certain conditions and certain times of the year, these sites could be seen from the air. The following decades of research revealed that later prehistoric and Roman man lived, in considerable numbers, in all the major valleys of England. The evidence of crop marks showed indications of settlement on limestone plateaux, heathlands and sandstone hills and although the basic hypothesis remained, the areas of apparently preferred settlement expanded. With the discovery of Mesolithic, or Middle Stone Age, settlement on the Pennine moorlands, Bronze Age occupation on the clay farmlands of the Midlands and Iron Age and Roman farmsteads deep in the present woodlands of the country, what has finally emerged is the realization that early man lived almost everywhere in England and that he was not controlled by his environment to anything like the degree that was always believed (Taylor, 1983). The direct prehistoric contribution to the landscape is small with the archaeological evidence for occupation heavily dependent on the events and changes that have taken place since our prehistoric ancestors. The early prehistoric people had a nomadic existence living in temporary structures whereas the development of agriculture from the Late Bronze Age, and especially the Early Iron Age, led to the appearance of more permanent settled villages. The people of the Early Iron Age lived mostly in single farmsteads or in small hamlets and the single farmsteads have the distinct possibility of having been continuously occupied ever since their beginning in pre-Roman or Romano-British times. Visible evidence of these early farms are the lynchets or cultivation terraces and it is likely that a great deal of the farmsteads of the Iron Age date have been abandoned at some date and reoccupied in medieval times under the pressure of a rising population (Hoskins, 2013). All the evidence of history and anthropology suggests that the great myth concerning primitive people and their alleged freedom to move about, untroubled by restrictions of boundaries or territorial limits, is unfounded. Human society appears to have had clearly defined areas of land which groups of people operated in, whether they were hunters, pastoralists or farmers. The well defined type of defensive site, and the territorial divisions, was a significant feature in the later Bronze Age and was very often the precursor of the later Iron Age Forts (Taylor, 1983). The later prehistoric period, known as the Iron Age, extends roughly from about 800 BC to the Roman invasions in AD 43. The period takes its name from the appearance of iron tools in the archaeological record and from the point of view of the history of settlement in England, it is the time when all the trends that were developing in the later Bronze Age intensified. There was an escalation in arable farming with numerous large grain storage pits found in settlement sites. There was a continuation of woodland clearance and some areas of former pasture were ploughed up to supply the greatly increased food production. There is also evidence of further expansion of agriculture in the richer claylands and in the high moorlands and mountains. With an increase in population more settlements were created which in turn has led to the discovery of far more of the Iron Age period than from all the rest of the prehistoric period. They have been found on all types of soils, in almost every position and in every part of England, except the highest moors of the Pennines and undrained marshlands. The density of Iron Age settlements was significant and the general size increased compared to those of the later Bronze Age. There was still considerable settlement ‘drift’ and movement on to new sites however, there were many more places that appear to be occupied for two or three centuries before any obvious movement takes place (Taylor, 1983). One of the most important features of the period is the growing number of defensive structures, or hill forts, scattered all over the country. These sites indicate a critical need for defendable locations either as permanently occupied protected places or as temporary refuges in times of danger. The consolidation of the older pattern of territories into a hierarchy of local estates, tribal areas and kingdoms is evident in the spacing of these forts. The variety and complexity of Iron Age settlement is vast with, at the simplest level, isolated farmsteads which were usually on high downland or moorland. In some areas, the main Iron Age settlement appears to be a type of site referred to as a ’round’ which are usually circular enclosures and bounded by a stone wall and outer ditch. In many cases these sites occupied hill slope positions usually with between two and six circular stone houses, set around a courtyard, and clearly interpreted as small agricultural hamlets. In northern England the earliest Iron Age sites of 5th or 6th century date seem to have been semi-fortified. These sites are known as palisaded enclosures which were small groups of timber houses surrounded by a wooden stockade. Later in the period the stockades were replaced by well built stone or earthen ramparts (Taylor, 1983). By virtue of the fact that we can still see the remains clearly in many parts of the country, the one type of Iron Age settlement that is the best known are the great hill forts. While few of the multitude of farmsteads, villages and hamlets are visible on the ground, the hill forts are marked on all modern maps and their substantial ramparts are clearly evident enclosing countless hilltops and spurs. Although common, the hill forts form only a very small proportion of the settlement pattern as the less obvious sites are by far where the greatest percentage of the population lived. Hill forts, with an emphasis on warfare, also provide evidence of the great variety of form and usage and indicate the growing stability of Iron Age society. Showing considerable diversity in size, hill forts occupy striking locations and often have massive earthworks. Surrounded by one or more circuits of banks and ditches, as the name implies, hill forts are defended places and were built across Europe. Although there are 3000 hill forts in the British Isles, the very large sites are contained in Wessex, the Welsh marshes and the southeast. The smaller hill forts are found in Northumberland and the south-west with a few in eastern England, the Pennines or the north-west. The first hill forts were univallate, with one line of defences, and although they could occupy large areas, they were slightly built. By around 400 BC many hill forts had developed into bivallate (bounded by a double line of ramparts) and multivallate (more than one rampart or defensive circuit) forms and at the same time, many of these sites were abandoned. Although there were fewer hill forts, the surviving sites became more elaborate and imposing and remained in use until around 100 BC when they were replaced by a very different type of settlement. The form and size of hill forts is extensive due to conforming to the shape of the ground it occupies. Small hill forts have one entrance, larger ones two, and usually will face east with a second entrance almost always facing west, irrespective of the natural topography. This pattern is reflected in contemporary farmstead enclosures and is likely to reflect Iron Age beliefs. Often situated on scarp edges and overlooking lower ground, hill forts are thought to have controlled valleys or vales. While defensive in nature the lack of evidence of warfare taking place at such sites indicates that the role of hill forts as settlements, food stores or meeting place was perhaps more significant than their role in conflict (Bowden, 2015). The layout of hill fort sites was heavily dependant upon the topography of the location but the main living accommodation occupied the highest position on the hill or crag. Such hill forts are exposed to the full fury of biting winds and the existing bracken and grassy banks give no hint of the formidable ramparts that once defended them (Childe & Simpson, 1961). 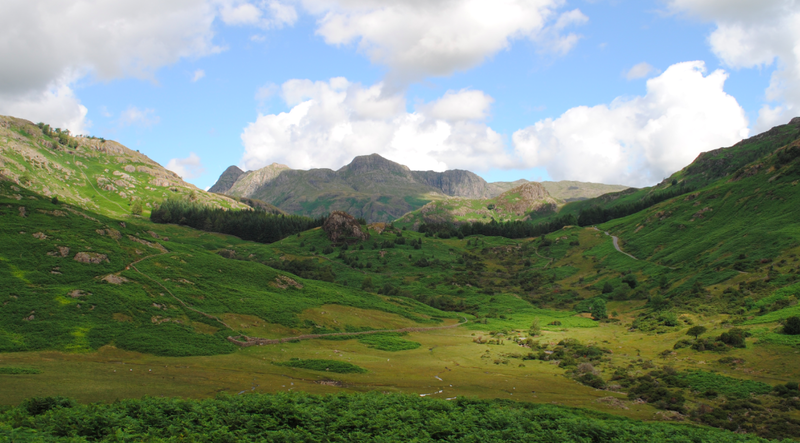 Castle Howe hill fort is located on an area of high ground in the Little Langdale Valley with a rocky knoll forming the highest point of the site. Access to the summit is via the western face and at the base of the knoll on this side are a series of rock cut ditches. On the north and south sides of the knoll are rectangular levelled areas which have been interpreted as artificial hut platforms. A hut circle is thought to have occupied a levelled area at the northern end of the knoll and there are several ditches surrounding the site. 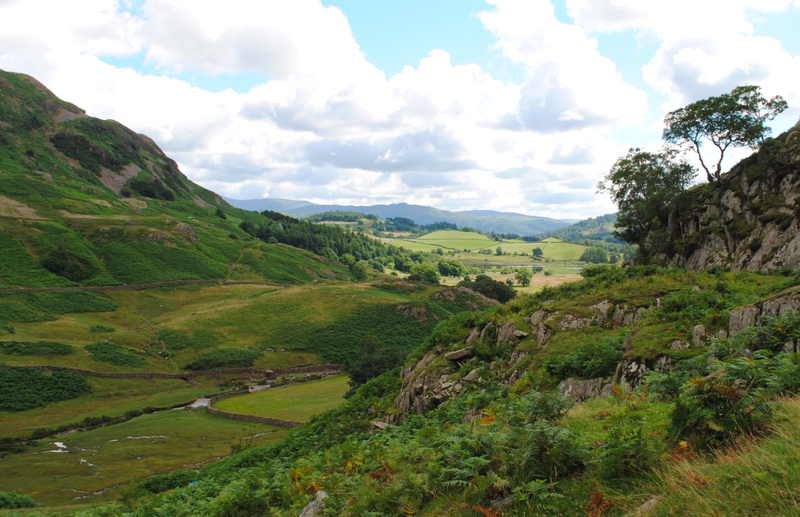 Castle Howe is at the eastern end of Wrynose Pass and overlooks the Roman road from Ambleside to Ravenglass. 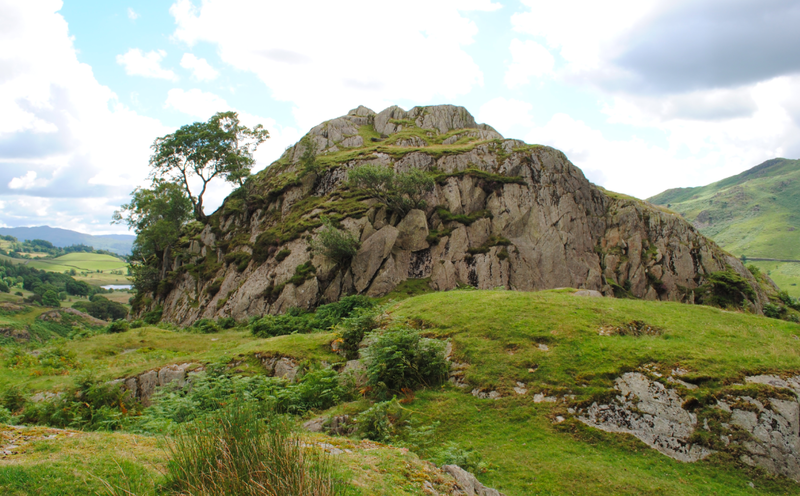 The hill fort at Castle Howe and its close proximity to a medieval moot at Fell Foot suggests that there has been a long tradition of association for the local community in this area. Castle Howe Hill Fort is a Scheduled Ancient Monument.